Have you thought about having USB power points installed in your home? More and more homes are jumping on to this trend to have a more modern and convenient way to allow for powering devices. Here’s what you need to know if you’re considering USB power points for your home! Right about now, you might be asking yourself, “What are USB power points?” And this would be a fair question! While they are quickly gaining in popularity, many people still have not seen or even heard of these handy new innovations. Ask yourself this: How many devices do you use on a daily basis that must be charged using a USB port? Probably a lot. Phones, tablets, smart watches, game consoles, cameras, and so much more are all charged using a USB port to draw their power from. Of course, many of us have wall-to-USB adapters lying around our houses, but how often do you use those or get annoyed at how bulky and outdated they are? Who needs a big box at the end of their phone charger, after all? They hog your outlet space and quickly get frustrating. Does this sound like a struggle you’re familiar with? In all likelihood, you’ve experienced it too – in today’s world, our modern devices rely on USB ports for power in so many ways, and our outlets simply haven’t caught up yet. Well, not anymore. This is where USB power points come in! These power outlets with USB ports in them are quickly becoming a popular item and are even standard to install in new homes. The best part? They are extremely simple to install and simply require you to swap the power point with a wall-mounted USB power point. Most homes today have several smartphones and tablets lying around that need to be charged daily. On top of that, most homes also have at least a few items – such as digital cameras, Go-Pros, video cameras, fitness trackers, MP3 players, bike computers, GPSs, came consoles, and more – that utilise USBs to become fully charged. The result? Tangles of cords on kitchen counters or in corners of the room. This is why USB sockets built into our power points is becoming standard! However, if your house doesn’t have them yet, luckily, it is not too late. They are relatively easy to install, and it is never too late to upgrade your home and get one for yourself! Think of how great it would be to have charging stations for your home in public living areas such as the home office, lounge room, or kitchen. Get Your USB PowerPoint Upgrade! While it is a relatively simple upgrade for your home, switching out your current power points for USB power points is not a DIY endeavor. 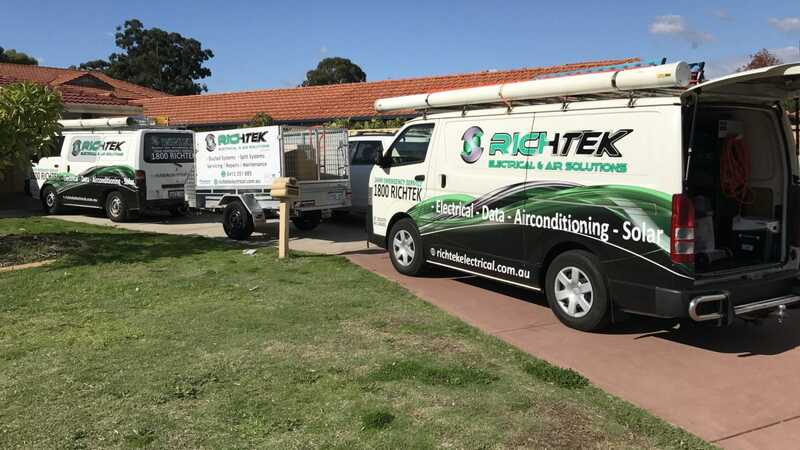 It is essential to hire a fully qualified and licensed Perth electrician to carry out this task for you. Get in touch with a local electrician that you trust with any questions you might have about getting USB power points installed in your home and rid yourself of the mass of tangled cords once and for all!